I took this picture while hiking up the Purple Mountain Trail in Yellowstone National Park. 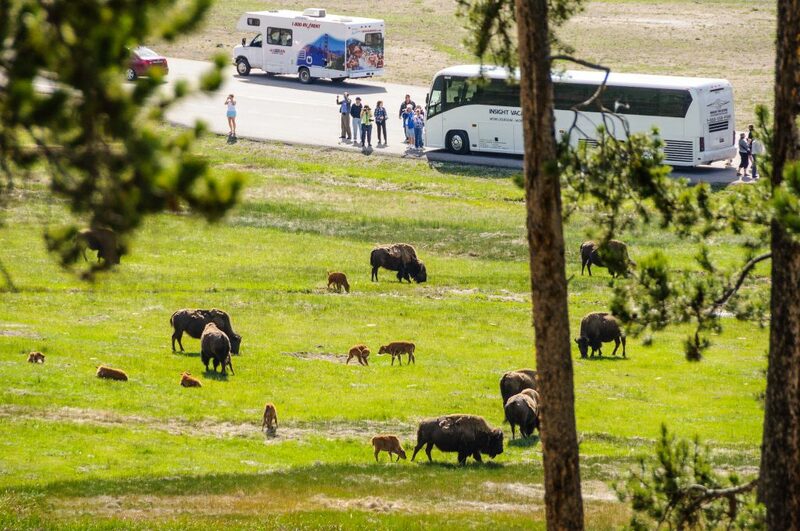 The shot from a higher ground allowed me to show more of each element (bison, tourists, and vehicles) in the frame. A shot taken from a higher angle shows clearly the size of an element relative to its environment. I placed the throng of tourists, the road, and the vehicles according to the rule of thirds. The foliage and the trunks on the foreground act as the frame for the scene (bison feeding on a grass field). They also add depth to the whole scene. 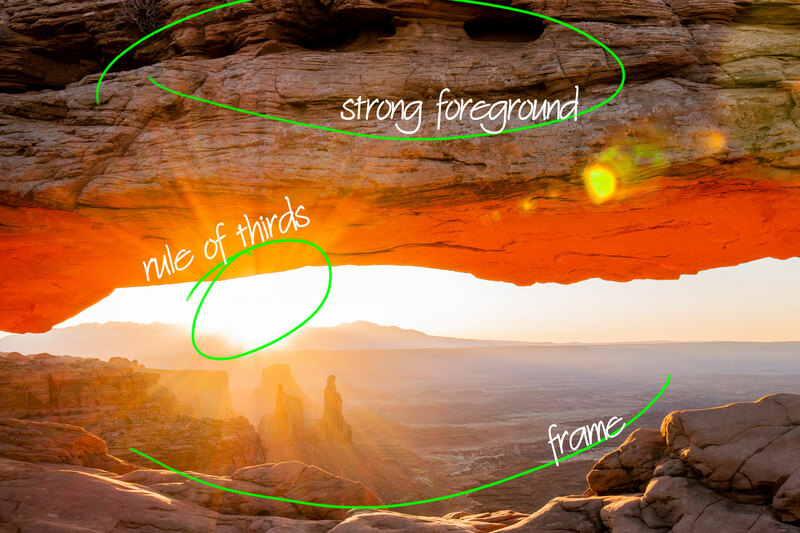 Inside the Frame series dissects how a photo incorporates composition patterns.  Every photo is annotated to clearly reveal each photo composition technique used when framing the scene. Studying these photos will help you take better pictures yourself. Previous PostPrevious Inside the Frame: A House in Pine St.